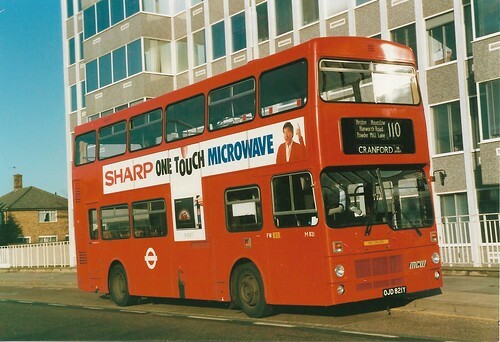 Mon-Fri extended from Hounslow to Cranford all day replacing service 111. 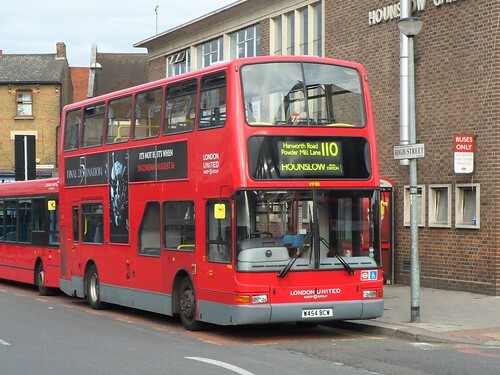 Sunday extended from Hounslow to Cranford replacing withdrawn Sunday 111. 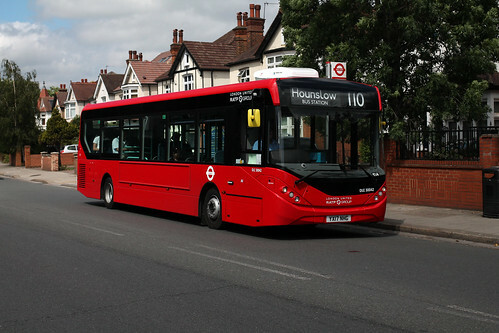 Mon-Fri evenings withdrawn between Hounslow and Cranford being replaced by extended service 111. Sunday vehicle type changed from RT to RM. Sunday service withdrawn in favour of New 110A. Service converted to single deck One Man Operation. Vehicle type change from MBS to MB. Vehicle type change from MB to MBS. Vehicle type change from MBS to SMS. A limited Sunday afternoon service introduced. Vehicle type change from SMS to LS. 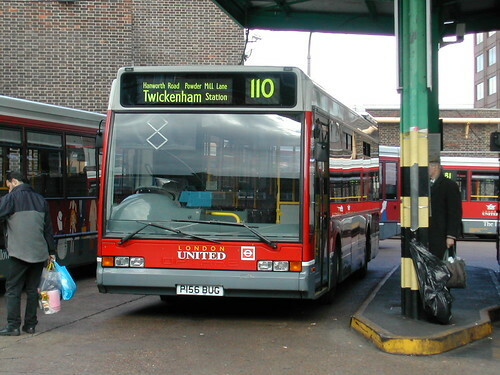 Mon-Fri off peak service withdrawn between Hounslow and Cranford - replaced by 111. AND Sunday service withdrawn. AV allocation transferred to FW. 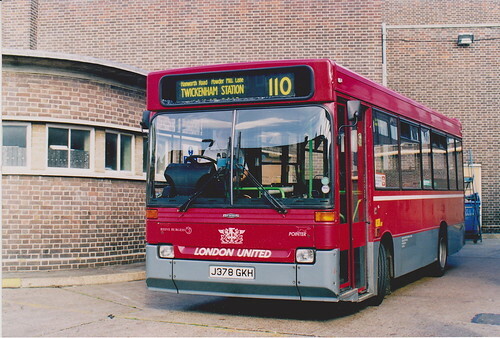 Vehicle type change from LS to double deck M.
The two buses on the left (AN358 & AN363) are two of LCSW AN's for the 110 that had not been repainted in time for the start of contract. 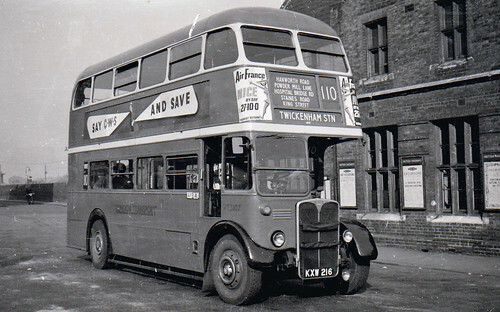 To start with they were used as Ferry vehicles - but soon saw service on the 110. They were repainted green when further examples were acquired for the 131. 110 used 5AN's to start with - these were replaced with 5 Dennis Dominators - and then the mighty 88 seat Volvo Citybuses - all during a 3 year contract. Withdrawn between Hounslow and Cranford. from Westlink to AV garage. 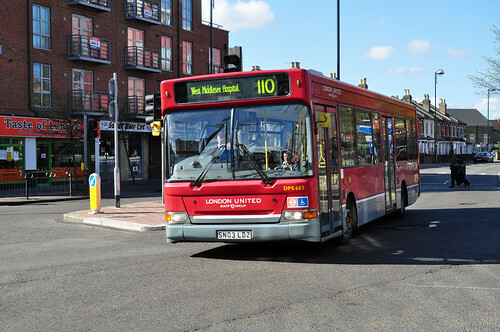 SDO double deck (M) journey introduced am only from HOSPITAL BRIDGE RD Chertsey Road to Hounslow Bus Station. 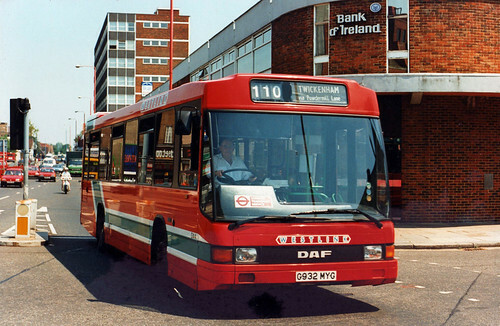 Converted from Dart to Optare Excel which were spare when Route 371 was converted to Dart operation. 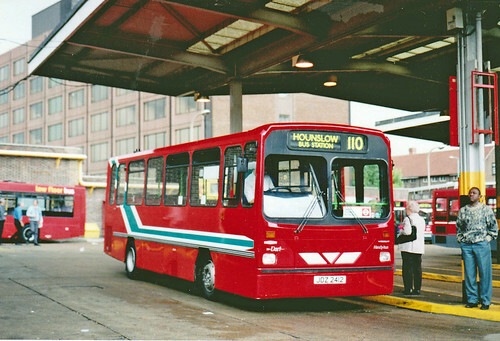 Crew changeover point at HOUNSLOW Bus Station. The Crew change point was Twickenham Albany stand - where all sorts of buses & coaches could be found on ferry duties.